For years I've been trying to grow tomatoes. Goodness, the very first blog post I ever did was about my desire to plant them. Year 1: Planted 8 hybrid tomato plants, but largely forgot them. 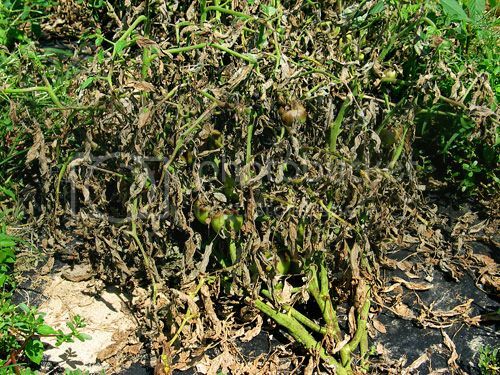 They died of neglect, bearing a lot of fruit that went unharvested. Year 2: Planted 0 hybrid tomatoes and 12 heirlooms. I took relatively good care of them. They all died of disease, bearing almost nothing. Year 3: Planted 0 hybrids, 14 heirlooms. They all died of disease, making a valiant effort to produce some fruit before they bit the dust. Year 4: Planted 0 hybrids and 20 heirlooms. I babied them! Death, disease, and dashed dreams. I will readily grant that my gardening skills leave much to be desired. If the apocalypse happened and I had to produce all of my own food or die, I'd die. But looking back at the records, I think I've set myself up for failure by trying to do heirlooms. Yes, purple tomatoes are fun, knobby yellow tomatoes are thrills to give away, pink striped fruits would look so lovely in my salad, and it's charming to know that I'm planting varieties that my forefathers ate. But it's hard to argue with years of dead plants. This year, by golly, I'm going back to hybrids. I never saved seeds, anyway, because there was no fruit to save seeds from! Out with the Purple Cherokee in with the Better Boys! Have you had any success with heirloom variety tomatoes? If so, what are your secrets? I'm a keen tomato grower both under glass and outdoors . The only tomato that I personally have grown, that is supposed to be blight resistant ( which is what has decimated your plants!) and which isn't exactly an heirloom variety is called "Legend". It has a large fruit and is quite tasty. To give yourself a chance this year you will need to plant your tomatoes in ground that hasn't had either tomatoes or potatoes growing in it for some years. The very best of luck. Just read your earlier post with regard to beans. I grow several kinds of beans, some of which are for drying... borlotti, butter bean and haricot and also find that I don't always have the time or inclination to soak and cook them for hours (slow cooker is good for this). I shall have a go at preparing and bottling some.Good idea!! We are neglectful gardeners ourselves, but this year we're trying square foot gardening. Haven't had a problem with diseased heirloom tomatoes, though. That's what I've been buying and they've done fine, all things considered. Difficult to harvest due to their rambling nature and our unwillingness to corral them, but bountiful none-the-less. Definitely go with the hybrids. We have grown Juliet tomatoes in earthboxes for three years now, and they have never let us down. They are delicious plain, in salads, on sandwiches, and they make a delicious tomato sauce for pasta. They are small, like large cherry tomatoes, but I find them more versatile than big tomatoes. Hello hello! Thank you for your kind and helpful comment! I will search out the "Legend" for sure. I've eaten more beans since I canned them than I did in the six months prior combined! It is a handy little project :). I suspect part of my problem is the source. I get them from a local nursery that are less than scrupulous about their growers... half of them look a little suspicious when I get them. Have you tried seeds from Seed Savers Exchange? I start all my tomatoes from seed and we've had good results with them. Our problem is that we live in the mountains and our growing season is a little short for tomatoes. So we always end up with a lot of green tomatoes at the first autumn frost. I've never successfully started seeds before. They all end up damping off or growing up super leggy. This year I'm going to try to use a grow light instead of a sunny window and hope that works. I'll look into Seed Savers Exchange -- thanks for the tip!